Once you have set up on freetobook, it’s easy to email a confirmation to your customer showing all their booking details in a professional, neat and simple layout. You take a phone booking then enter their booking into your diary. A couple of clicks later you have emailed them their confirmation. To them it will look great: from phone call to email confirmation in a matter of minutes. Wow that’s service! Fast, friendly and accurate (just like a big posh chain.) Can you hear your guests being impressed? As if that wasn’t enough, it saves you time, eliminates errors and keeps your confirmations in one place. Oh and don’t forget you can fish out all your customer details at any time, export them to Excel and add them to a mailing list. For the many properties already using this great function you will notice we have added a BCC tag, so you can copy yourself in on any email you send to a customer. 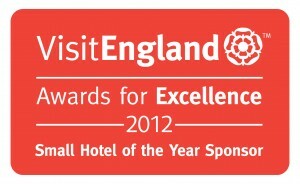 Freetobook is most chuffed to be sponsoring the VisitEngland awards for excellence in 2012. In our minds it’s a great way to raise the quality bar and promote all that’s best in accommodation. As a family business (not a giant corporation) we couldn’t afford to sponsor the whole event, so we had to choose just one category. Ah… now which one do we choose? 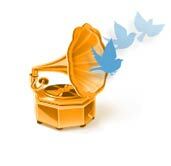 Should we sponsor the Bed and Breakfast award? It would make sense when so many of our wonderful customers come into this category, but then we also work with lots of Self Catering providers and we can’t leave them out. Then there are Small Hotels and Large Hotels. We like them and many of them like us, so what do we do? It seemed most logical to go for the middle option and chose to sponsor Small Hotel of the Year which includes so many fabulous and varied properties throughout the land.